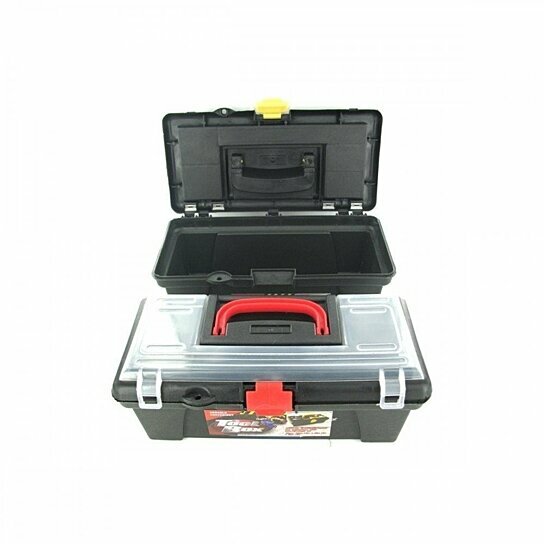 Tool boxes are durable and convenient. Ideal for keeping not only industrial tools but crafting items as well. Each box has 5 top compartments and 1 large bottom compartment. Lids are transparent with colored latches and handles. Colors can include yellow, blue and red. Items are packaged loose with a UPC label. Main case dimensions are 12" x 6" x 4 1/2".